What Do Car Badges Reveal About Japanese Design Culture? Japan has a complex history of engaging (or not) with the outside world—starting in the 1600s, when the shogunate put a strict ban on foreign trading, religion, and language. Much has changed then, but Japanese designers still have an interesting relationship with Western culture. For example: The fact that the badge of every Japanese car—even the ones not destined for exporting—is written in English. As Nissan‘s design guru Shiro Nakamura told Jalopnik today, the reason is half cultural and half linguistic. Japanese speakers are less likely to assimilate foreign words into Japanese, according to Nakamura. Unlike Americans—who are happy to put their own, uh, creative spin on words from other languages—Japanese speakers try to preserve foreign words exactly as they arrive, even going so far as to write English words in latin characters when the rest of a text is in Kanji. And because cars were the vehicle (so to speak) through which Western culture made its way back into Japan after World War II, they’re is still associated with English-speaking brands and logos. So, thanks to the division between Kanji and Western words, the latin alphabet has always been—and will always be, according to Nakamura—the way car badges are designed. 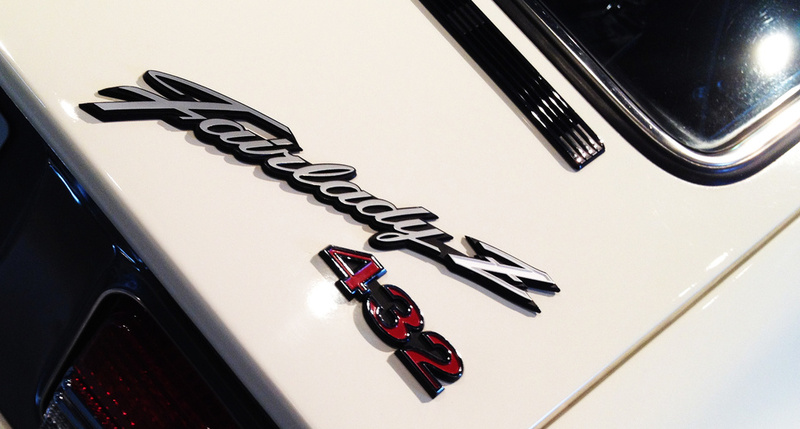 via What Do Car Badges Reveal About Japanese Design Culture?. Creative teams must pay attention and understand the different layers of a culture. Showing respect and make it clear is how the best brands pay attention to cultural differences. The web has made us all companies that can be viewed globally. Categories: Uncategorized | Tags: Business, car badges, design guru, English language, Fairlady Z, Iceland, Jalopnik, Japan, japanese designers, Kanji, Nissan, Uncategorized, United States, Western culture, World War II | Permalink.